Doris Lessing’s The Golden Notebook was published on this day, 16 April, in 1962. To mark this anniversary, here are ten of the best quotes from this landmark novel, and from the wise and wonderful Lessing in general. 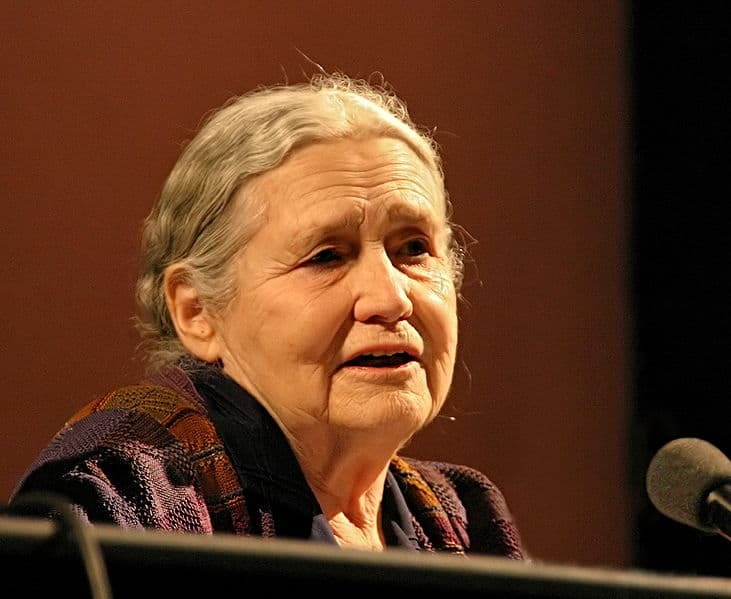 Image: Doris Lessing, 2006, by Elke Wetzig, free licence. Each quote is a gem of wisdom. Reblogged this on na rudai ata i mo cheann. What a woman and what a writer…. Fine selection. Her quote about knowing something but understanding for the first time calls to mind T.S.Eliot’s lines about” the end of our exploration is to arrive where we started and know the place for the first time.” She is a wonderful writer. Thank you for featuring her today. “Parents should leave books lying around marked ‘forbidden’ if they want their children to read.” Oh I’m definitely going to be doing that. This is fantastic! I too love the one about parents and the leaving of books for their children! All the excerpts and quotes are really impressive and beneficial. Ditto here. That one makes the most ‘click’ point. Great quotation – and idea – isn’t it! Wise words from a great writer! I have fond memories of reading The Golden Notebook when I was in my early 20s. I’ve always enjoyed Lessing’s work. Thank you for this post and these wonderful quotes. Brilliant! Thank you for putting these all together! I still can’t believe I’ve never read anything by Lessing (apart from a couple of short stories about cats!) This has got to be the year that I change all that! The books I like are the ones that seem to jump off the shelf. Lessing would understand that. Even a book written by a fool can have a gem hiddin in it. Every line she ever wrote is carved in her wisdom scarred face. Thank you grandmother Lessing.